Each art-card is delivered as a double-card with envelope, packed together in a little plastic bag; price: 1,50 euro, minimum 5 identical or different cards (shipping- charges exclusive). All book-markers are 1,50 euro each; further details: see art-cards. A poster with dimensions 30x40cm costs 10 euro, framed 50 euro (shipping- charges exclusive). You will get a mail in return with payment-instructions and delivery-information. Each diary is delivered wrapped in plastic. They come in two sizes: 11 x 16 cm (20 euro) and 15 x 22 cm (30 euro) (shipping-charges exclusive). Normally an ordered home-burned CD is delivered in a slim jewelcase, its costs: 5 euro (shipment-charges exclusive); if you choose the goldlayer version you pay 6 euro. For the mp3-version of a CD you pay 3,50 euro. It will be sent as zip via WeTransfer.com, so no shipping costs. 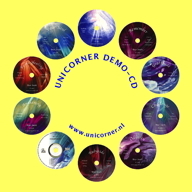 When you order all eleven unicorner-CDs, you pay only 35 euro. The AudioStrobe-CD Compassion you can order only as mp3, without the AudioStrobe code. You can order it via email, as explained underneath. Or you can buy the mp3-version-with-code at AudioStrobe-shop. Normally this CD is delivered as a free mp3-zip-download. You will get a mail in return with delivery-information. 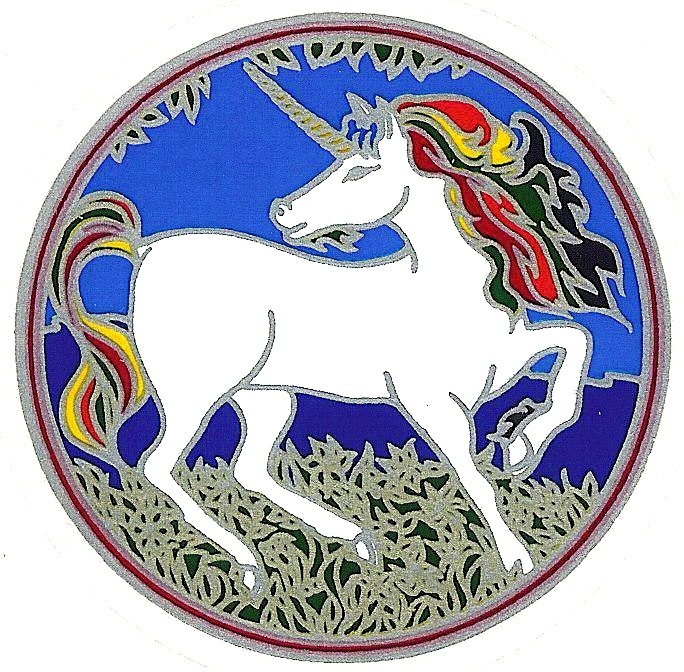 Feel free to contact us by sending an email, with your questions, remarks or otherwise. Please send an email, thank you. 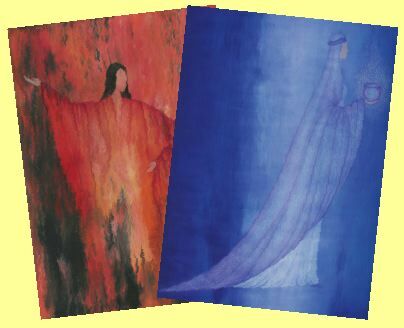 You will get information about new paintings or CDs on our site, special offers and so on.